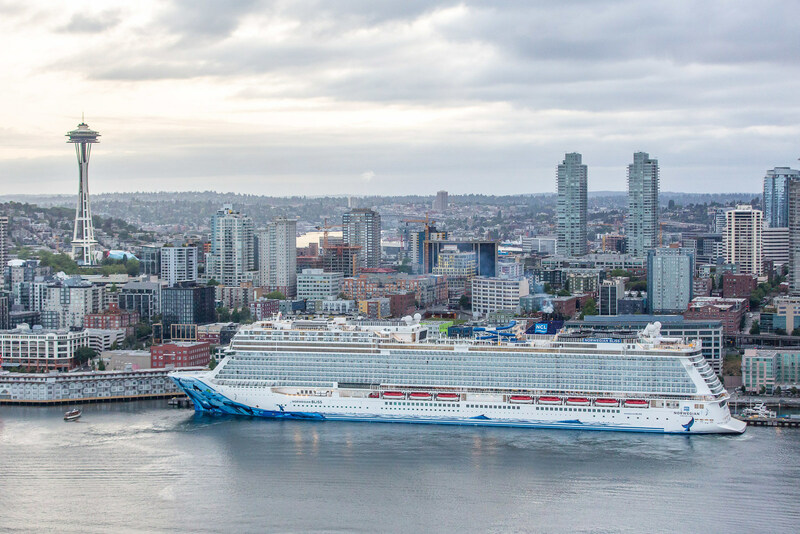 Norwegian Cruise Lines launched the Norwegian Bliss in April 2018 and had its christening ceremony on May 30, in Seattle. 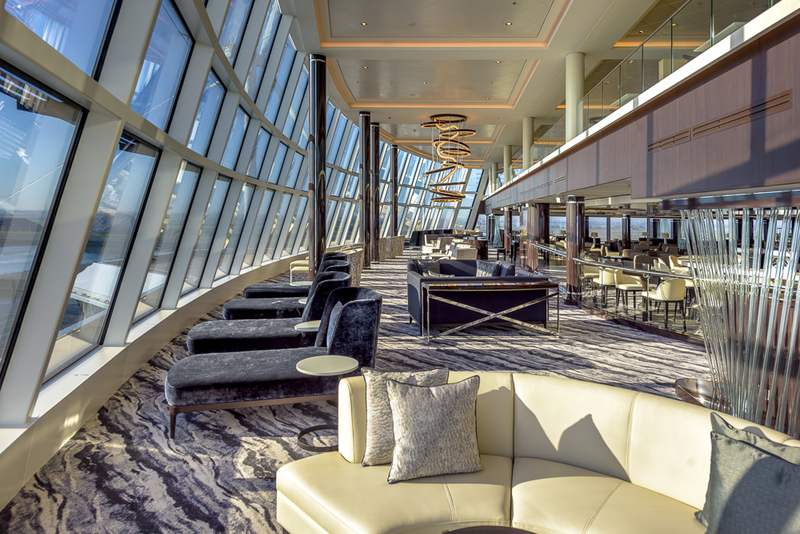 Ranked amongst the 10 largest cruise vessels in the world, the Bliss is now cruising between Seattle and Alaska on 7-day cruises. Weighing in at a whopping 168,000 gross tons and over 1,000 feet in length, this ship makes a statement as it heads out of the cruise terminal at Pier 66 in downtown Seattle. 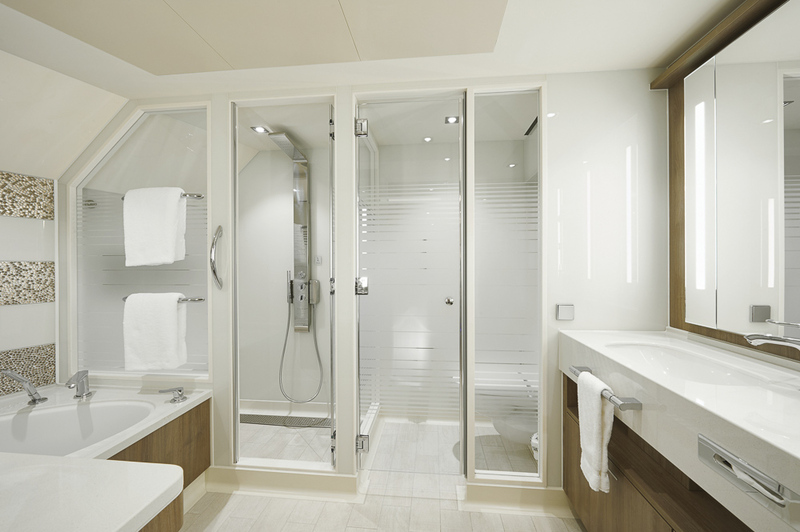 There are a total of 2206 staterooms in 42 categories and also offers 82 single cabins for solo travelers. 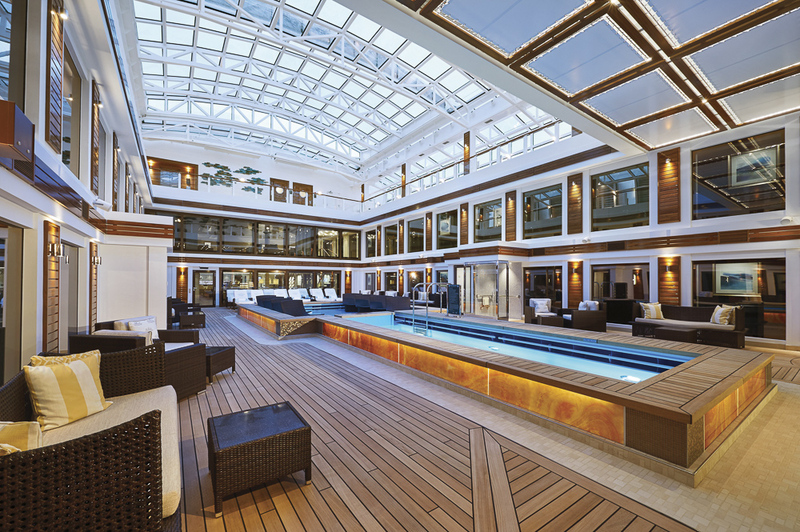 The ship has the world’s biggest marine scrubber system. These units clean the engines sulfur oxide emissions by 99%. 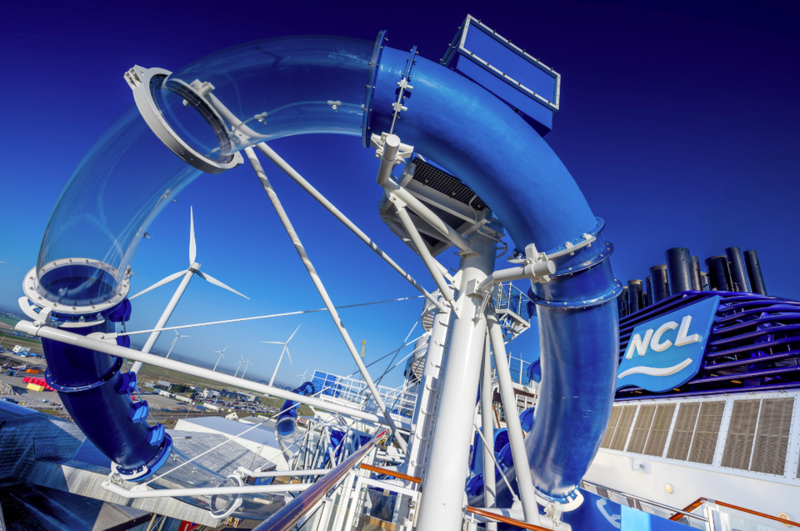 At max cruising speed of 26 mph/23 knots, the ship’s engines consume 11 tons of diesel fuel per hour. 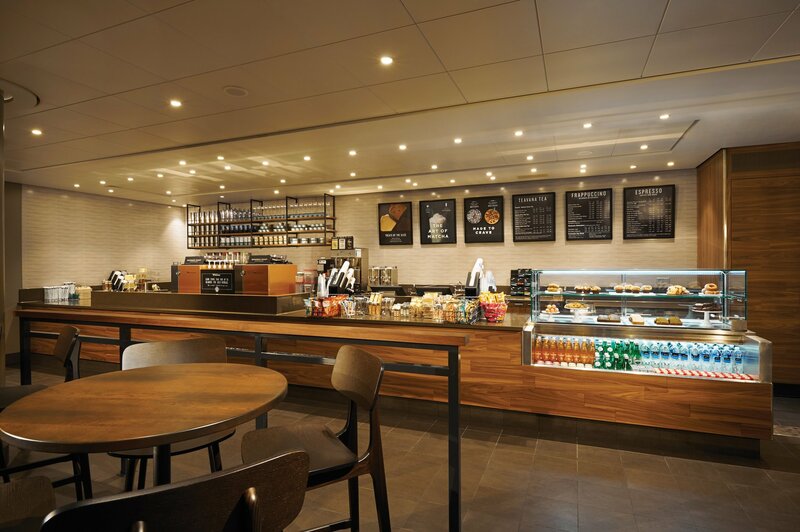 The 800 seat Bliss Theatre features Broadway-style musical productions with two grand-shows per night. 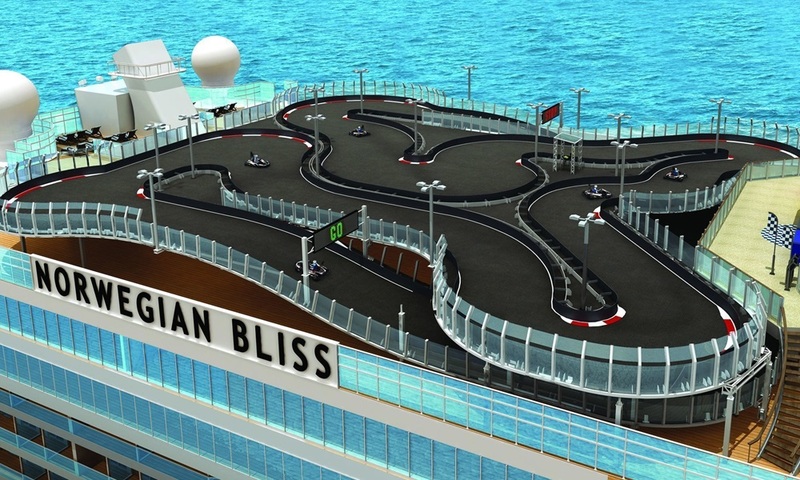 Norwegian Bliss was named by her Facebook fans. 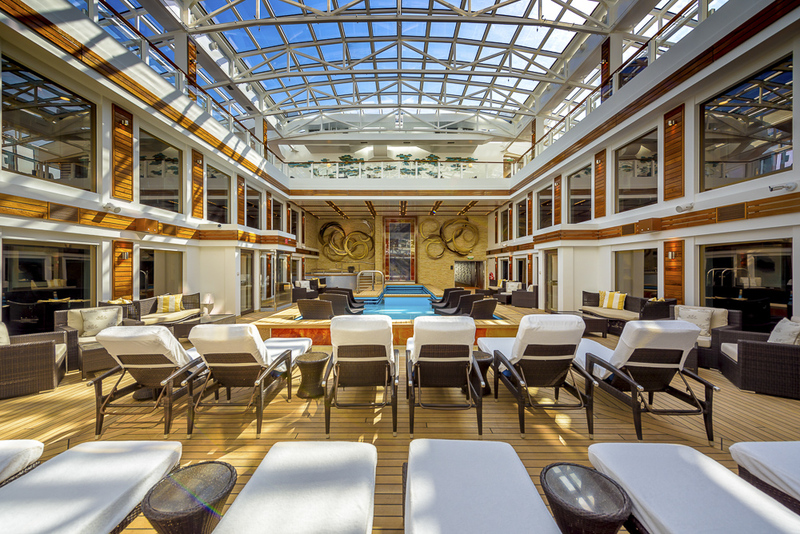 Deck 19 features a Ferrari branded racetrack and is also the first ever branded Formula 1 race car track. 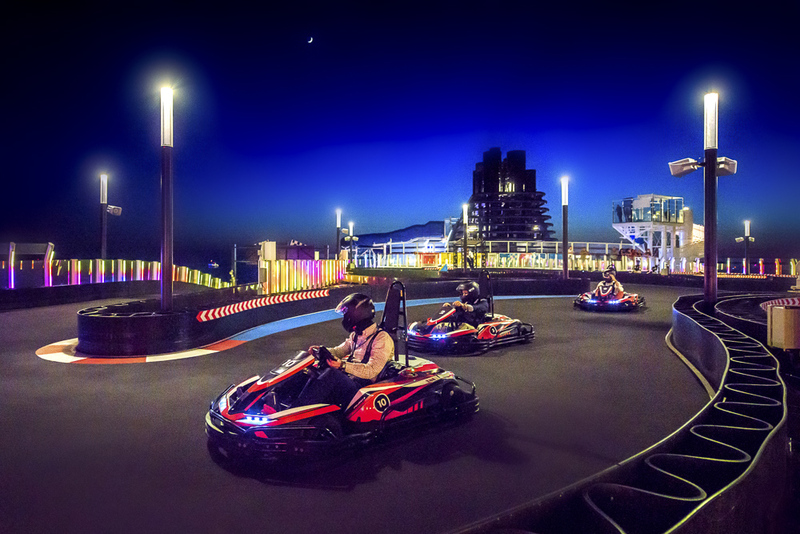 The track spans two levels and has a capacity of 10 racers at a time in electric go-carts which can reach speeds up to 40 mph. 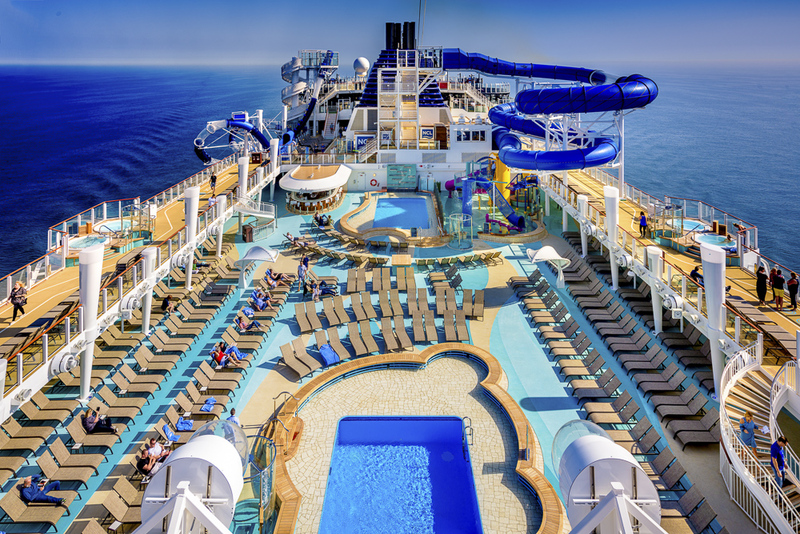 Junior cruisers can splish, splash and have a blast at the Kids’ Aqua Park, a watery wonderland of splash pads, water cannons, tipping buckets and slides. This entry was posted in Seattle Info and tagged alaska, cruise. Bookmark the permalink.